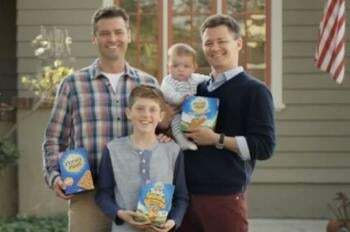 As you may have heard, Honey Maid graham crackers has launched an ad campaign with the slogan "This Is Wholesome" that celebrates all kinds of families. For some mysterious reason, this has upset the conservative group "One Million Moms" to no end. They are protesting with all their American Family Association-backed might (which is not a lot, really), and have set up an online e-mail form to allow their dozens of followers to voice their concerns (although they haven't trusted them to say anything coherent, and have provided them with the verbiage). Have we talked about this Honey Maid commercial yet? Never one to allow an opportunity for Internet-based amusement to go to waste, I and others have used this form to communicate to Honey Maid that they are awesome and should keep right on doing what they're doing. Sure, they're shilling, but they're also promoting a social good, so who cares. Would you like to do the same? Come on, you know you would. Don't forget to delete the dumb crap! Last one out, turn out the lights.